WASHINGTON, DC, November 18, 2013 (ENS) – Just extending the emissions and fuel-quality standards already in force in the world’s largest vehicle markets could avert more than 210,000 early deaths in 2030, finds a new report by the nonprofit International Council on Clean Transportation. Extending these fuel and vehicle standards would reduce early deaths caused by fine particle emissions annually by 75 percent by 2030, the report finds. Doing so also would reduce near-term climate impacts by the equivalent of 710 million metric tons of carbon dioxide (CO2) annually through reductions in black carbon and other short-lived climate pollutants. “This analysis clearly demonstrates how cleaner fuels and vehicles are saving lives in the U.S. and Europe,” said Dan Greenbaum, president of the Health Effects Institute and chairman of the ICCT Board of Directors. “It is time to extend these benefits to the rest of the world,” he said. The World Health Organization has identified air pollution as one of the top global risk factors for premature death, responsible for more than 3.2 million early deaths in 2010. Vehicles are a major source of outdoor air pollution. Stringent regulations implemented in Europe, the United States, Canada, Japan, Australia and South Korea have proven highly effective at curbing pollution from vehicles. 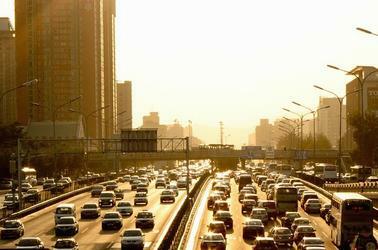 By controlling tailpipe emissions of harmful compounds like nitrogen oxides, sulfur oxides and particulate matter, as well as fuel sulfur content, these standards will reduce premature mortality related to vehicle emissions in these regions by 80 to 90 percent below year 2000 levels in 2030. Low-sulfur fuels are a key factor in controlling pollutant emissions because fuels with higher sulfur content emit more particulates and also inhibit the use of after-treatment devices such as particulate filters. The problem is acute in the rapidly developing regions of China and India and in emerging markets, which now account for the majority of vehicle pollutant emissions and their health impacts. The study found that unless tighter controls on those emissions are put in place, the number of early deaths will increase by 50 percent globally between now and 2030, with China, India, and other countries in Asia-Pacific, Africa, and the Middle East accounting for more than 85 percent of all these premature deaths. The ICCT report presents a global policy roadmap aimed at altering regional trends in pollution and mortality by accelerating the spread of improved vehicle emissions and fuel-quality regulations. The report’s authors maintain that the goal should be global tailpipe emission standards equivalent to the most stringent adopted in Europe, the Euro 6/IV standards, in tandem with ultra-low-sulfur fuel, by no later than 2025. Countries on the African continent and in the Middle East, with much earlier or no standards in place, are expected to take longer to reach these standards but can still reduce health impacts over the same period by taking some of the interim regulatory steps. The report comes as governments are negotiating in Warsaw, Poland at the 19th Conference of the Parties to the UN Framework Convention on Climate Change. They are aiming for a new global, legally-binding climate change agreement by 2015 to be implemented by 2020. A study published in January 2013 in the “Journal of Geophysical Research” found black carbon to be the second largest contributor to climate warming from human activities. And in September 2013, the Intergovernmental Panel on Climate Change (IPCC) found that one kilogram of black carbon causes as much climate impact in the near term as 3,200 kilograms of carbon dioxide. 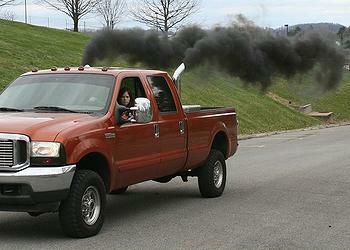 Diesel vehicles, in particular, are a prime target for policies aimed at controlling black carbon. The ICCT report finds that diesel trucks and buses, especially those with minimal emission controls, account for more than 80 percent of global fine particle and nitrogen oxide emissions from road vehicles. 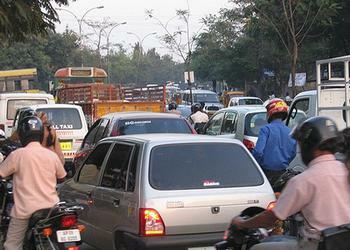 Cleaner fuels and vehicles are a good investment, the report’s authors point out. “The U.S. EPA has estimated that its regulations to clean up the diesel truck fleet will reap US$17 in benefits to the American public for every dollar of investment,” said ICCT Program Lead Cristiano Façanha. Founded in 2005, the nonprofit ICCT maintains offices in Berlin, Brussels, China, and London, as well as in Washington and San Francisco. It is funded principally by private foundations, such as the Hewlett Foundation and ClimateWorks in the United States and Stiftung Mercator in Europe, and is a non-state partner organization in the Climate and Clean Air Coalition to Reduce Short-Lived Climate Pollutants. “The Impact of Stringent Fuel and Vehicle Standards on Premature Mortality and Emissions” is the second major report in the ICCT’s Global Transportation Roadmap Series. The first, “Global Transportation Energy and Climate Roadmap,” evaluated the impacts of transportation policies on global oil consumption and greenhouse gas emissions. Download the report and related materials at: http://www.theicct.org/global-health-roadmap.